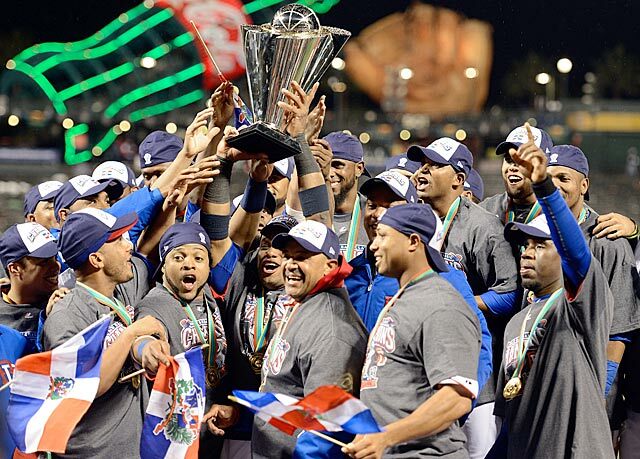 Thanks to a dominating performance by tournament MVP Robinson Cano, some great pitching by the likes of Samuel Deduno and a brilliant bullpen, and some flashy defense, the Dominican Republic was able to complete their quest for the World Baseball Classic title, defeating Puerto Rico 3-0. The WBC final capped a perfect 8-0 run for the star-studded Dominican roster as they outscored opponents by a 22 run margin over the 8 game tournament. Seven Fernando Rodney appearances, seven invisible arrows fired into the sky, seven Dominican Republic victories. Could the manager Tony Pena have drawn this up any better? The Dominicans have brought a particular panache to this year’s Classic, showcasing flashy defense, highlight reel homers, and everything that goes with it. About a week ago I took a look at the potential roster for Team USA in the World Baseball Classic. I decided since I had so much fun the first time around that I would do it again. Only this time I want to take a look at the roster for one of America’s biggest threats to the crown, the always talented Dominican Republic. 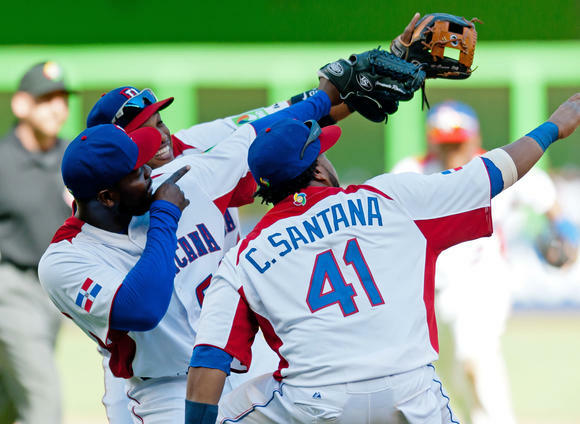 The Dominican has yet to have a real breakthrough in the World Baseball Classic and the 2009 edition was particularly embarrassing for a nation with so many big league players. The Dominicans, despite having perennial All-Stars like Robinson Cano, Pedro Martinez, and the still-good Hanley Ramirez dotting the diamond, were knocked out in the qualifiers by the Netherlands in a tight 2-1 contest. This year’s roster should be similarly star-studded once again, particularly on the infield, where there could be more All-Stars than positions available. 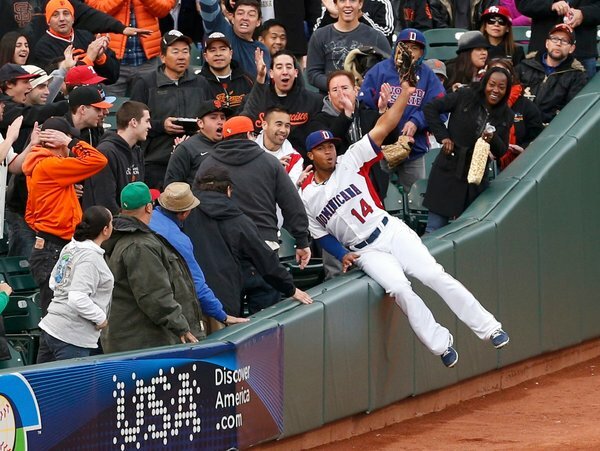 The manager has already been announced and it’s going to be former Kansas City Royals coach Tony Pena. As always the World Baseball Classic allows each country to carry a 28-man roster. For the better part of the last two decades the American League East has been dominated by the big fish, the New York Yankees and the Boston Red Sox. Recently the Tampa Bay Rays have been able to break into that triumvirate to steal a couple of playoff births and division titles. Last season brought more parity and more disturbance to the big budget empires with the Baltimore Orioles surprise run to 94 wins and a Wild Card spot, leaving only the Toronto Blue Jays out in the cold. But this offseason, the established order in the AL East may finally be fully overthrown. The Yankees are old, injured, and cutting payroll back to a modest $189 million. The Red Sox are coming off their worst season since 1981 and they aren’t signing any of the big name players either, instead opting for character guys on short-term deals. Toronto (yes, Toronto) is ramping up payroll and making franchise-altering trades to add a staff full of pitchers, one that includes 2012 NL Cy Young winner R.A. Dickey. Tampa Bay is doing their usual thing, trading for young, unproven talent while rebuilding on the cheap. And Baltimore, well, they’ve stood pat thus far. The sharks are circling. From the looks of it, everybody has a shot in the AL East. No other division in baseball can say that. So why don’t we take an early peak at the division race, position by position, to see where things stand? Can the Yankees Come Back, sans Jeter? The American League Championship Series got off to a rousing start last night before, ultimately, ending on a sour note. Tigers closer Jose Valverde continued his season long battle with the save, giving up a pair of 2-run homers and a 4-0 lead to the Yankees in the bottom of the 9th. A couple innings later, the Tigers were able to parlay an atrocious display of defense by Nick Swisher and some timely hits into a pair of 12th inning runs to escape with a 1-0 series lead. 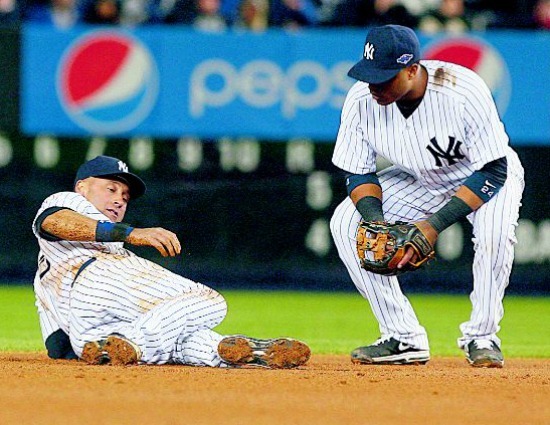 The game was particularly disastrous for New York because not only did they hand over home-field advantage, captain Derek Jeter was also lost for the rest of the playoffs due to a broken ankle.